My goal at the beginning of the year was to review every book that I read and I was doing so well but fell behind during the summer! I am now going to try to play catch-up. Spoiler- I absolutely loved all three of these books! I loved The Poppy War so much that I voted it as the best fantasy novel of the year for the Goodreads Choice Awards, and that category has some stiff competition! 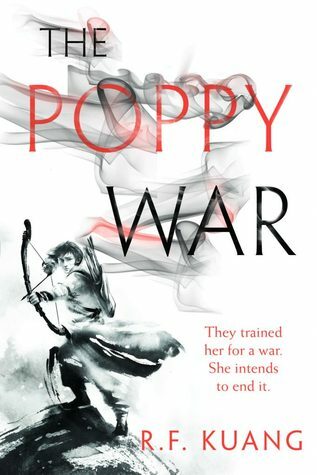 Circe and The Year of One were also nominated and while I enjoyed both of them very much, The Poppy War was something special. If you are like me and you enjoy fantasies set at magical boarding schools than this is the book for you. I thought the magic was original and well thought out. It was interesting to learn all of the history of this world and that it is based on the Second Sino-Japanese War. I will mention that this is a book about war so it explores some dark theme. I enjoyed the main character, which is not always the case for me in fantasy novels. I appreciated that she fought to get where she was and things are not just handed to her. She is in no way ‘the chosen one.’ I went through all of the emotions with her and I could actually feel my heart racing when things would get intense! Do not let the size of this book intimidate you! I was completely engrossed in the story and could not put it down. I almost wish it was longer! I am counting down the days until May 2nd, the date when the second book, The Dragon Republic, is being released! If you go in to this book knowing that it is speculative fiction and should not be taken seriously, I think you will love it! I highly recommend the audiobook. It is narrated by Katherine Kellgren, who sadly has since passed away, and she does an incredible job. She brings the characters to life and the voices that she uses fit the characters perfectly. I thought My Lady Jane was hilarious and by the time I was finished my cheeks hurt from smiling. It is very lighthearted and downright silly but not vapid. Both the characters and the plot are very well-developed and I formed an attachment to each of them. They each had depth and are very memorable. If I was forced to pick a favourite character it would be have to be Jane. I loved that she always had her face in a book and did not follow any of the expectations of women at that time. I want to read more books like this one that take a tragic moment in history and completely turn it on its head. I have not yet read the second novel, My Plain Jane, because I have been hearing mixed things about it. If you have read it I would love to hear what you thought in the comments. Scythe was so hyped that I thought there was no way it could possibly be as good as everyone says that it is! Spoiler-it is a good as everyone says it is! I was not expecting it to raise so many ethical questions and to get my mind really with questions about death and our future. It was interesting because this is a future that is not so unbelievable. The world was very well developed and I was intrigued by the politics as well. Scythe has one of the best villains that I have ever read. He is pure evil, but at the same time you can kind of understand his motivation and how he got to be so power-hungry. There is a certain scene involving fire that I thought was pretty epic! Scythe reminded me why I used to love dystopian fiction and how much potential there is in the genre. Since finishing it, I have added so many dystopian novels to my TBR and I am open to any recommendations. 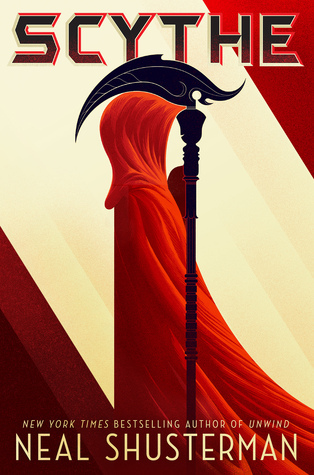 Scythe is a YA gem and I think that it is a novel that pretty much anyone, no matter what age or interests, can find value in. So glad you liked both scythe and my lady Jane!! Loved those! Great reviews! Ah it is so good! If you like audiobooks that is definitely how I would read it! I think it really added to the experience! Thank you, Raven! I am excited to see what you think about The Poppy War! Great reviews! Scythe and The Poppy War have been on my TBR for a while and I definitely need to get around to picking those up. I’m in the same position as you with the Lady Janies series, having enjoyed the first book but being on the fence about trying the second. I’m thinking I might wait for the third book and read them back to back then, because I’m looking forward to My Calamity Jane even more! Thank you! I truly think you will love both of those books. 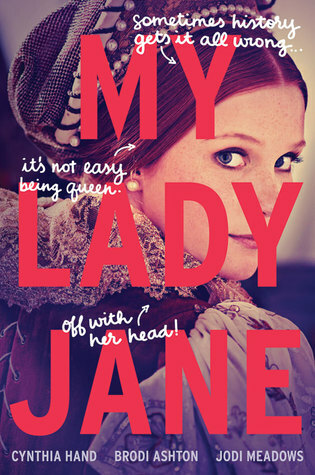 It is too bad about the Lady Janies series because the first book is so good and I love the idea behind the second one! That is a good idea! Maybe I will do the same thing!